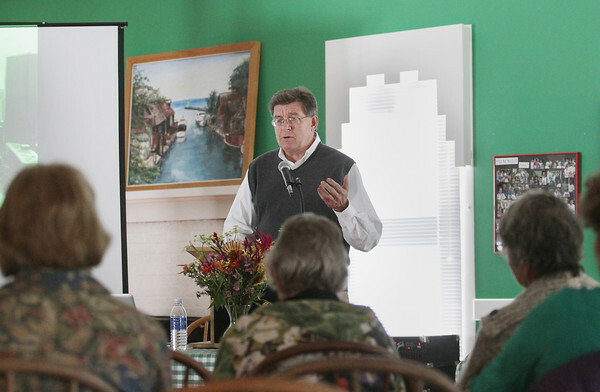 Warren Byrd, landscape architect and designer of the Historic Barns Park and Botanic Garden, delivers a presentation Tuesday, October 1, 2013 during the Revolutionary Gardens benefit event at the Fountain Point Inn and Club to benefit Traverse City's Botanic Garden and Historic Barns Park. The event concludes Wednesday, October 2. Also presenting during the event are Peter Hatch, professional gardener and historian, and author Andrea Wulf.